Saul 'Canelo' Alvarez has shrugged off concerns about visible damage on his face as he prepares to fight Rocky Fielding. Canelo, already a two-weight world champion, is aiming to add a belt in a third division by winning Fielding's WBA super-middleweight title on Saturday from 11pm, live on Sky Sports. He ended the unbeaten run of Gennady Golovkin just three months ago in a gruelling contest, and Fielding had previously spotted wounds from that occasion, saying: "The first thing I saw were cuts from the Triple G fight which were still fresh." 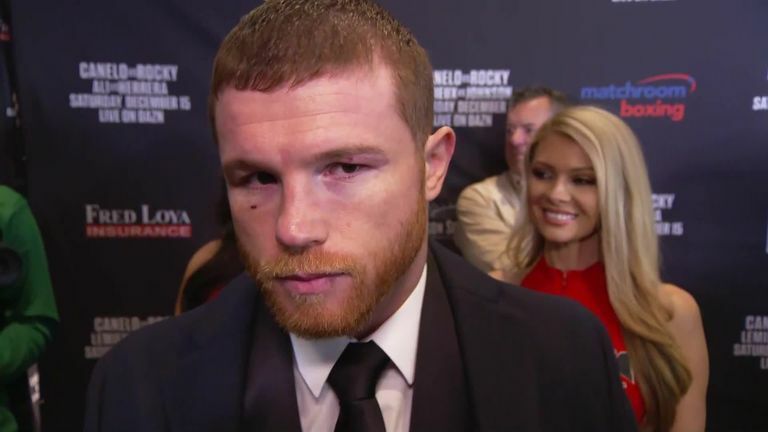 A month later, Canelo is still marked under his right eye but has denied it is a weakness, telling Sky Sports: "No, these are things that happen. We are ready for Saturday." The Mexican's first bout as a super-middleweight will not be followed by a run in the division, he confirmed. "The idea, after this fight, is to go back to 160lbs," said Canelo. "It is a dream to enter a select list of people from Mexico to become a three-weight world champion." Still aged 28, a 2013 meeting with Floyd Mayweather remains the only defeat of Canelo's 53-fight career to date. As well as two standout fights against Golovkin he has also beaten four Brits in Matthew Hatton, Ryan Rhodes, Amir Khan and Liam Smith. "The combination of fights between Mexicans and British fighters is very good, and I like it," he said. "We know [Fielding] is a strong fighter, a tough fighter. He has his own style, he thinks in the ring, and we trained specifically for him." [Fielding] thinks in the ring, and we trained specifically for him. Former undisputed world middleweight champion Bernard Hopkins believes that Canelo still has work to do before he is considered among the legendary boxers from Mexico. 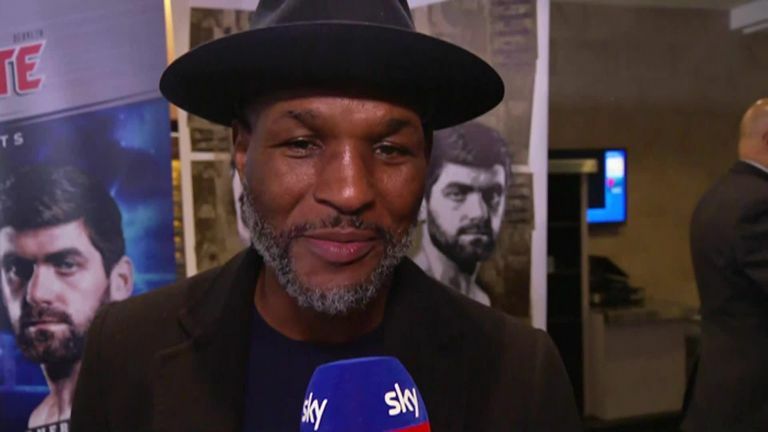 "He is in the top five [pound-for-pound]," Hopkins told Sky Sports. "He must beat a few more tough people who take chances. "He is a star in boxing. There are a lot of people at his weight, at least five, who want his spot. He cannot afford to underestimate anybody, or take anybody for granted. "He can be in the top five in the history of Mexican fighters. "In 2001 I made history as a middleweight. A lot of fights can happen in the division - names I would love to see Canelo fight, [if] he gets past Rocky. "Danny Jacobs is ready, David Lemieux is ready."